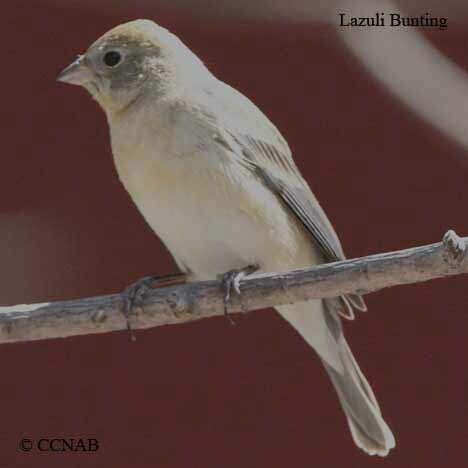 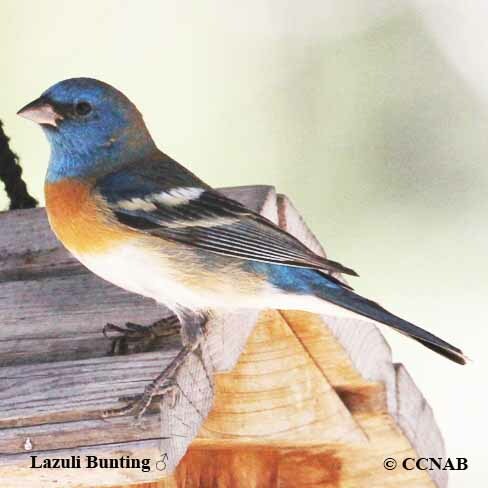 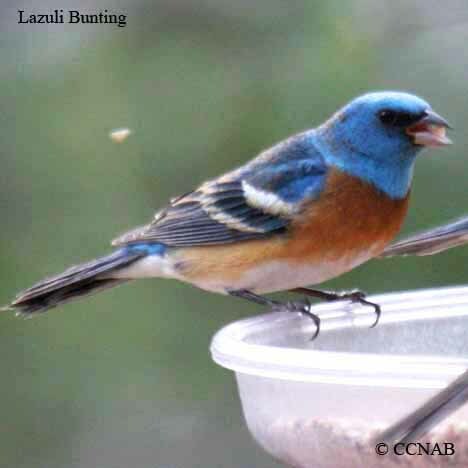 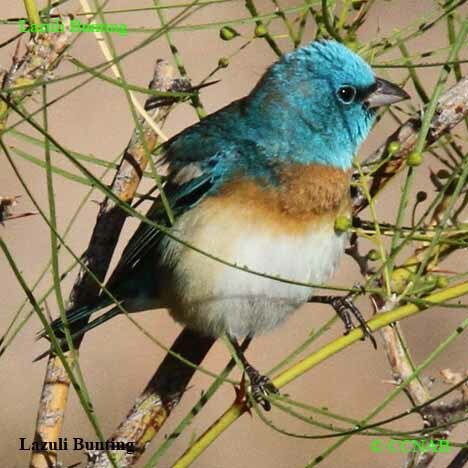 The Lazuli Bunting has almost the same colour patterns as the Eastern Bluebird. 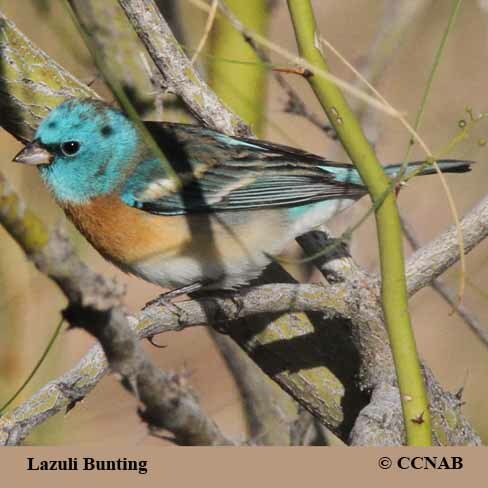 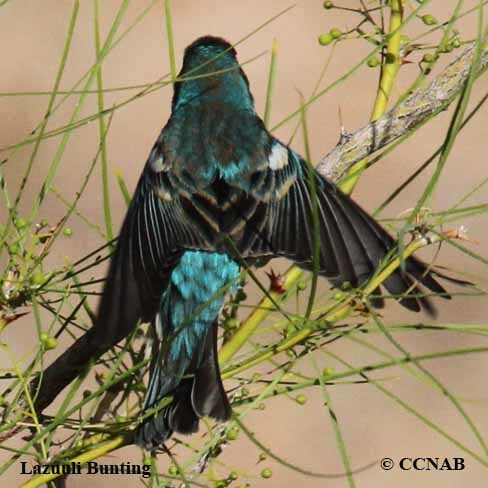 This great looking bird can be found throughout the grasslands and open forest in the western regions of North America. 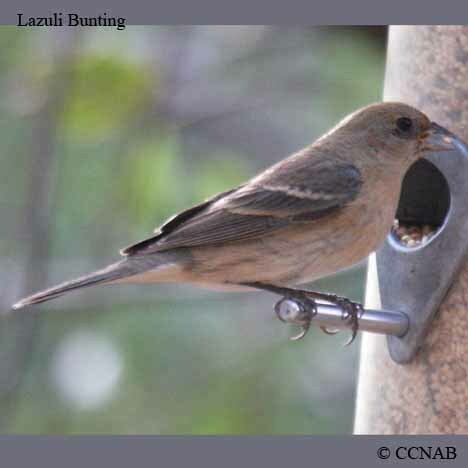 This bunting is a regular visitor at bird feeders throughout its range.